Since its invention, photography has been the world’s ubiquitous picture-making system. It has in the process effected a profound transformation of our knowledge and opinions concerning the structure and meaning of visual experience. 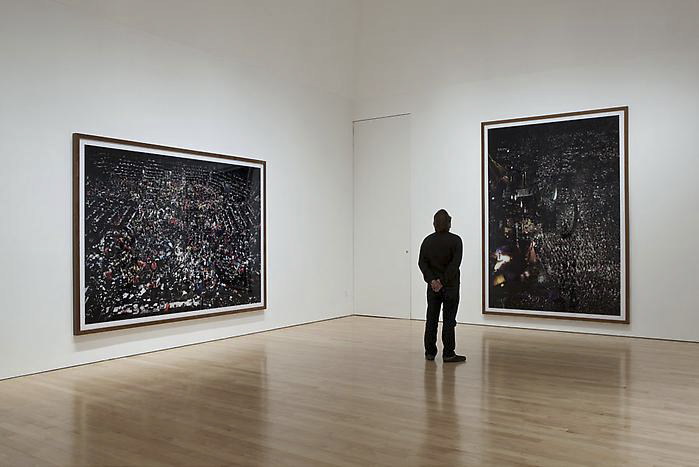 If you’re interested in visiting a gallery or museum beyond San Diego for the Exhibition Critical Review, you may want to look at Photograph Magazine for a current listing of exhibitions. Introduce the exhibition, including the photographer’s name, the title of the exhibition, the dates. Discuss important technical aspects, such as equipment and/or processes used, that contribute to an understanding of the photograph from a descriptive and interpretive context. Discuss what concerns, ideas, and/or curiosities the exhibition and photographs reveal, suggest and/or imply to you, including emotional, psychological, historical, sociological, cultural implications and considerations, so as to begin to understand its meaning. Are there references that inform how the photographs in the exhibiton were made and what it is about? How has psychological, historical, sociological and/or cultural contexts shaped its’ creation and your reading of the photographs? What is satisfying and dissatisfying about the exhibition and/or photographs? Does it change my view of something? Evaluate the exhibition and photographs in terms of its’ effectiveness in communicating the intended idea and meaning, including the conceptual framework of the exhibition and the visual language used (use of aesthetic considerations as well as level of technical execution and/or presentation). It is important to develop persuasive support and argument for your critical judgments. Does the photographs’ aesthetic considerations, presentation and technical execution support its intended meaning? If the work in the exhibition seeks to inform and influence social awareness and change, is it effective? How do the photographs in the exhibition compare and/or contrast with similar images in other media? Summarize your overall critical inquiry and examination of the exhibition and photographs, including what lasting impression(s) the exhibition has made. The critical exhibition review is required to be typed and turned-in by the due date listed on the course calendar.